If you're a Secret Santa to a friend who reels at the sight of a vacuum and can't seem to reheat pizza without starting several small fires, then maybe get them something from this list of awesome home gear. Then sit back and bask in all of your Secret Santa praise. These knives are crafted using the same process designed to make samurai swords, which means they're sharp enough to cut ghosts. Each piece in this set is stain- and rust-resistant, and Damasukasu also backs up each knife with a 100-year guarantee, should you happen to accidentally drop one into the fires of Mount Doom while dicing tomatoes. Normally this set sells for $299.99, but if you click here right now, you can take 76 percent off plus an additional price drop and get it for just $69.99. Enter the code GREENMONDAY20 at checkout to take an additional 20 percent off. If your friend has the breath of a decaying science project, then give them the gift of a healthy smile and improved personal relationships with the AquaSonic Black Series Toothbrush. This sonic electric toothbrush comes with four different settings -- soft, whiten, massage, and cleaning -- and a 40,000 VPN motor to make teeth so clean that people will be able see their reflections in them. It also comes with a travel case and eight portable brush heads, so you're never more than a quick duck into the restroom away from professional-level tooth cleaning. The AquaSonic Black typically retails for $189.99, but if you click here right now, you can get it at 78 percent off for just $39.99. Plus, use the code GREENMONDAY20 to save an additional 20 percent. If your friend is a huge cold brew fan and would rather drink a cup of thumbtacks than a room temperature mug of coffee, then hoo baby, do we have the gift for you. 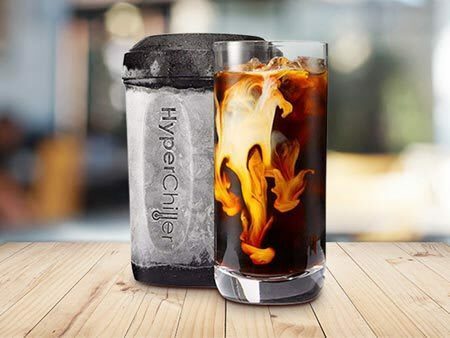 The HyperChiller will cool any beverage by as much as 130 degrees in one minute. Simply pop it in the freezer until you're ready to use it, and then pour in your drink and marvel as HyperChiller blasts it with arctic wind without watering it down. Click here to get the HyperChiller for $29.99, and enter the code GREENMONDAY20 at checkout to save 20 percent. Let's say your friend is the type of person who puts a pot of water on to boil for some mac and cheese, and then walks into the next room and forgets all about it, and now they're under investigation for insurance fraud because their apartment burned down under "mysterious circumstances." You need to drop the BoilingBeeper Kitchen Timer in their stocking. This handy timer floats in any pot and alerts you when the water reaches boiling temperature, so you don't have to constantly monitor it and are free to do other things, like preparing the rest of the meal or finally finishing that screenplay. Usually the BoilingBeeper costs $19.99, but you can click here to get one at 10 percent off for $17.99, plus an additional 20 percent off by entering the code GREENMONDAY20 at checkout. Give your friend the gift of a futuristic aromatherapy spa by dropping the Smart Alexa-Compatible Ultrasonic Aromatherapy Diffuser underneath their tree. This diffuser connects to your smartphone, so you can control the mist intensity and even the color of the unit's LED lights from anywhere in the house. You can even connect it to an Amazon Alexa and control it with your voice, presumably using your best Captain Picard impression. 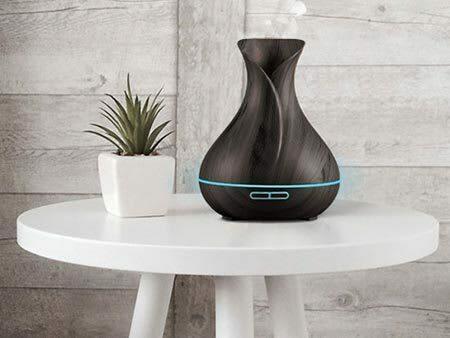 Normally it sells for $199.99, but you can click here to take 80 percent off and get this awesome aromatherapy diffuser for only $39.99. Plus, enter the code GREENMONDAY20 at checkout to save an additional 20 percent. If your friend still microwaves all off their meals and uses their stove as a bookshelf, then encourage them to flex their culinary muscles with the BergHOFF Copper Clad Stainless Steel Two-Piece Pan Set. Both pans feature a copper disc core, which evenly distributes heat to ensure food is cooked properly, and even speeds up cooking times. And they're made of durable stainless steel, which means they can survive a few drops here and there. Normally this set sells for $185, but you can click here to get it at 54 percent off for $84.99. Save an additional 20 percent by entering the code GREENMONDAY20 at checkout. If your friend's apartment could gently be described as a "dirt nest" or "biological preserve," get them the iRobot Roomba 805 Robotic Vacuum. You can program up to seven cleanings per week, and with its smart navigation technology, you can breathe easy knowing your Roomba will never crash into a table in the middle of the night and terrify you into hiring a ghost hunter. It also automatically adjusts to any floor type, so it can switch between carpeting, tile, and hardwood on its own. Normally the iRobot Roomba 805 sells for $449.99, but if you click here right now, you can take 46 percent off and get one for $246.99. Use the code GREENMONDAY20 to save an additional 20 percent. The EcoQube C Aquarium is the perfect gift for that buddy who wants a pet, but could never be bothered to change a litter box. The EcoQube uses a self-sustaining aquaponics system to keep clean with plants like basil and mint, which means you'll never have to change the water or replace a filter. All you have to do is feed the fish. 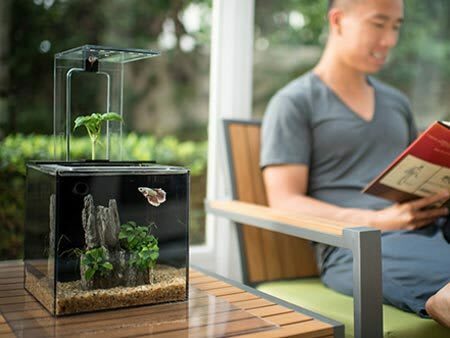 Plus, the EcoQube is durable and super portable, so you can set it up anywhere as a cool, relaxing centerpiece. 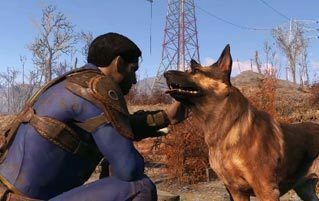 It's the easiest way to own a pet outside of a Tamagotchi. Normally the EcoQube costs $169.99, but you can click here to get one at 41 percent off for $99.99. Use the code GREENMONDAY20 to save an additional 20 percent. Rescue your friend from their stiff, uncomfortable Spider-Man sheets by gifting them the Bamboo Luxury Four-Piece Queen Sheet Set. These lightweight sheets are made from bamboo microfiber with an 1,800 thread count, which means they stay breathable and cool year-round, even if they don't have Dr. Octopus on them. They're even hypoallergenic, so your friend won't have to suffer through a sneezing fit as they drift off to sleep in their regal new bedclothes. Click here to get the 4-piece set for $39.99, 63 percent off the normal price of $109. Use the code GREENMONDAY20 to save an additional 20 percent. If your friend seems to have more dog hair in their apartment than actual dogs, surprise them with the Eureka Pet Upright Vacuum. This vacuum cleaner is specifically designed for pet owners, with a reusable dust cup, two brush rolls, and an allergen filter. The Eureka also features an easily washable dust cup, so you never have to fumble with a clumsy bag and risk spilling all those "pet deposits" right back onto the floor. Normally the Eureka Pet Upright Vacuum sells for $139.99, but you can click here right now to get one at 35 percent off for just $89.99. Use the code GREENMONDAY20 at checkout to save an additional 20 percent. We got your holiday covered. Because when it comes to Fun, Nothing Goes Over our heads. Looking for more gift ideas? 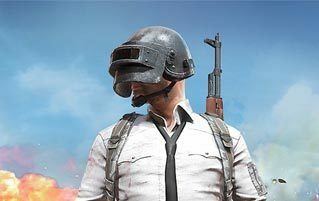 These 13 Digital Deals Are A Virtual Steal.